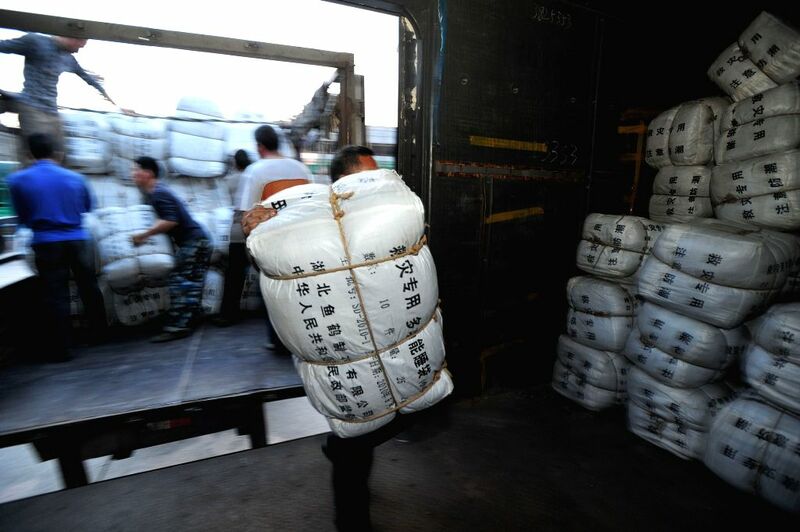 WUHAN, April 26, 2015 - People transport relief materials to a train in Wuhan, capital of central China's Hubei Province, April 26, 2015. Death toll in southwest China's Tibet Autonomous Region from the earthquake that struck neighboring Nepal on Saturday has climbed to 18. A total of 55 people there were injured, according to the regional disaster relief headquarters.